"In a brain scan, relational pain — that caused by isolation during punishment — can look the same as physical abuse," observes Daniel Siegel and Tina Bryson in their Time article, "'Time-Outs' Are Hurting Your Child." "On top of everything, time-outs are usually ineffective in accomplishing the goals of discipline: to change behavior and build skills. Parents may think that time-outs cause children to calm down and reflect on their behavior. But instead, time-outs frequently make children angrier and more dysregulated, leaving them even less able to control themselves or think about what they’ve done, and more focused on how mean their parents are to have punished them. "Next time the need for discipline arises, parents might consider a 'time-in': forging a loving connection, such as sitting with the child and talking or comforting. Some time to calm down can be extremely valuable for children, teaching them how to pause and reflect on their behavior. Especially for younger children, such reflection is created in relationship, not in isolation. 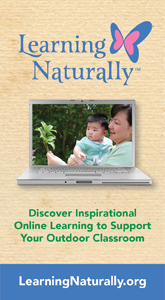 And all of this will make parenting a whole lot more effective and rewarding in the long run." 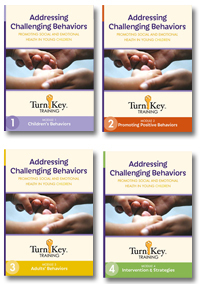 We are discounting the price of Exchange's Turn-Key Training DVD set, Addressing Challenging Behaviors, by $99! This sale ends today! 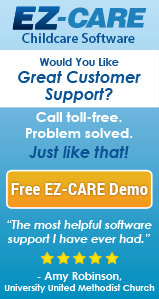 Learn more by clicking the link below. for your $99 discount to be applied. Sale Ends 3/22/2016 11:59 pm PST. Not valid with bulk purchase discounts. May not be combined with any other offer.. This is completely ridiculous! The area of the brain that shows a child is upset is going to fire no matter the punishment. How did they do this study? Did they beat a group of kids and give another group of kids time out and see if their brains looked the same after? The child is mad that they are not allowed by their parent or caregiver to continue an undesired behavior. I this type of study is irresponsible. Many times a time out is not only for the child but for the parent. Now, you tell a parent that it is like beating your child to put them in their room for 2 minutes while you and your child have a chance to calm down. So what is a parent to do? Stay with the child while both parent and child get more and more frustrated? Taking away time-out from a parent's "tool box" may actually result in physical abuse! I'm wondering if giving a child extra attention for negative behavior would have the opposite effect, causing the child to behave negatively to receive the extra attention? In terms of "Time-Out" your usage or those who use "Time-Out" as a punishment is completely inaccurate. In the grand scope, time out was NEVER intended to be used as a consequence or a punishment as called in the article. I worked with severely challenged children for 20 years and uses time out as a positive reinforcement for the child that would allow for simply removing, not isolating, the child from a negative stimulus and putting the child In a place where teachable moments and positive interaction could be reinforced. 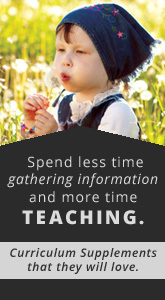 Time out should never be used to "isolate" a child from positive interaction. A child who needs to sit in a chair for example can use this time to visually learn how appropriate interaction proceeds in front of them, while adults monitor and actually use these teachable moments while a child is in "time out". There are always two sdes or more to every theory, but if time out is used the way it was intended to be used, not isolate but truly set a child up for positive interaction, then my opinion is use it but use it correctly. I generally do not agree with this. I find it interesting there is not a piece about the permanent destructive effect of physical abuse, yelling at children, and verbal put downs, which many parents still deeply believe in, especially those from certain groups. Done effectively - i.e removing the child from the event or incident that caused the behavior, and making sure the child understands the nature of their infraction - which they often do - can be very effective.